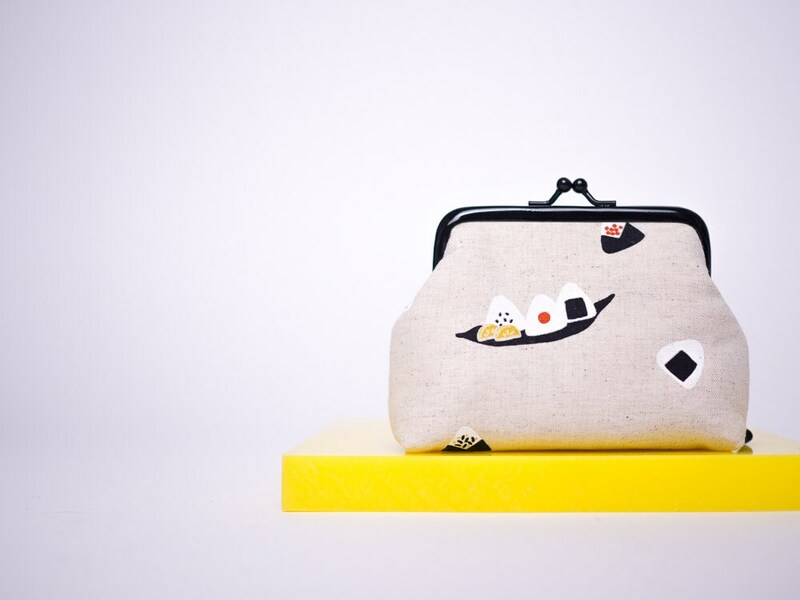 This little sushi coin purse with black kiss lock metal frame keeps everything safe inside your handbag. 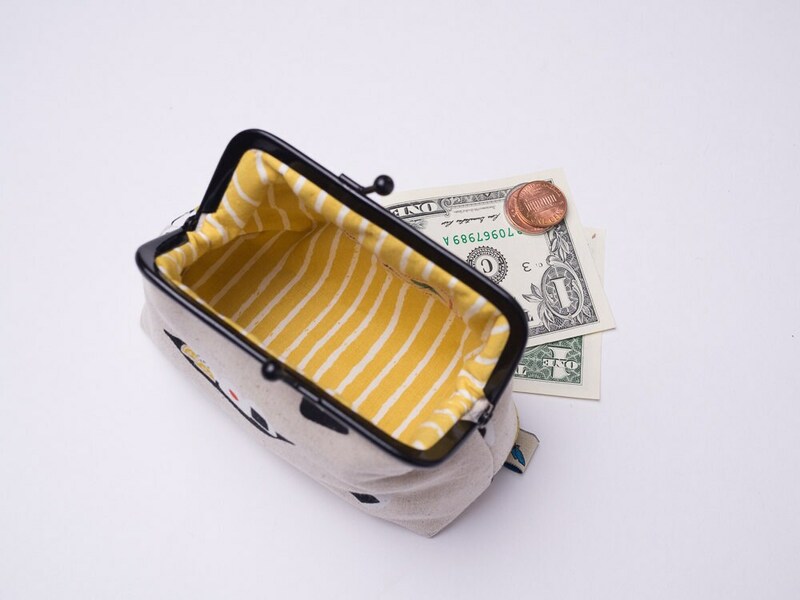 A perfect way to stock your credit cards, lots of coins, earbuds and jewelry. Due to high volume of orders this item will be shipped between November 15 - 17. Thank you for your patience and understanding. International Buyers – Please Note: Duties, taxes and charges are not included in the item price or shipping charges. These charges are the buyer’s responsibility. Please check with your country’s customs office to determine what these additional costs may be prior to buying. I do not mark merchandise values below the actual or mark items as ‘gifts’ - US and International government regulations prohibit such a behavior. 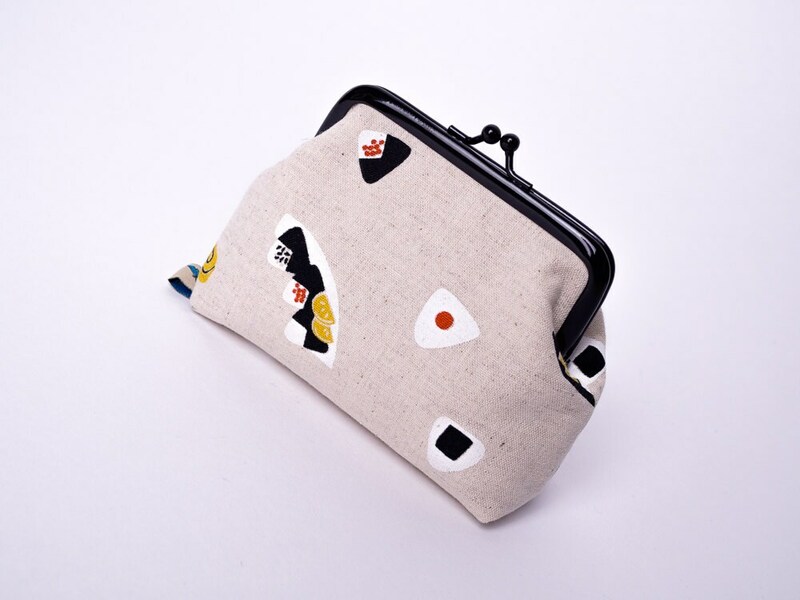 I have ordered two coin purses now, and both are adorable. Both are well made, beautifully designed, arrived promptly and packaged delightfully. It's all in the details, well done !!! Thank you!!! Absolutely adorable and so lovingly constructed. I can't wait to show this off. Thank you! 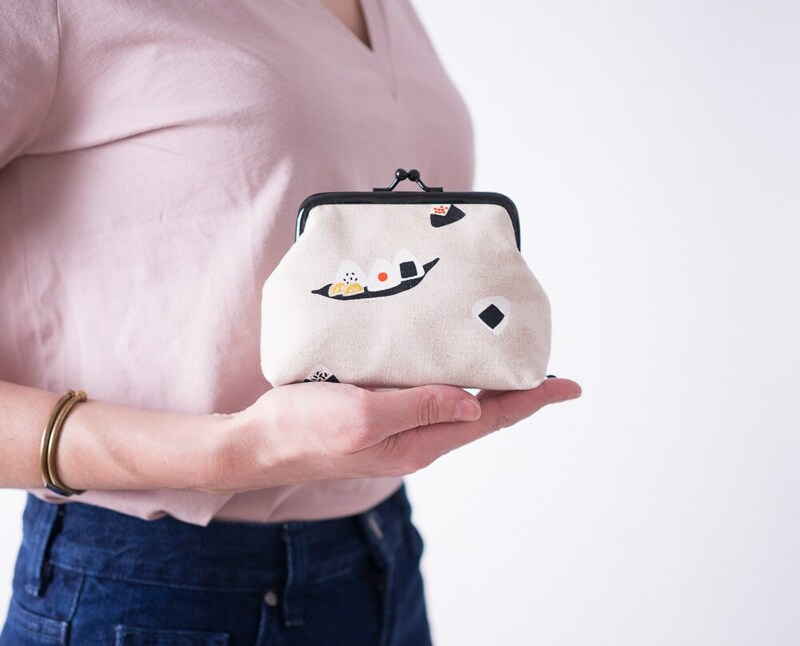 This coin purse is so well made! I was really pleased by how stiff the looking is so that it holds its shape without anything in it. Simply beautiful! Absolutely gorgeous. True to its description. Beautiful quality. My sister is normally difficult to shop for, but she adored this gift. Truly stunning inside and out. Can tell its a product that is sturdy and will last as well.